An exquisite traditional leather bag by Schuhmacher. 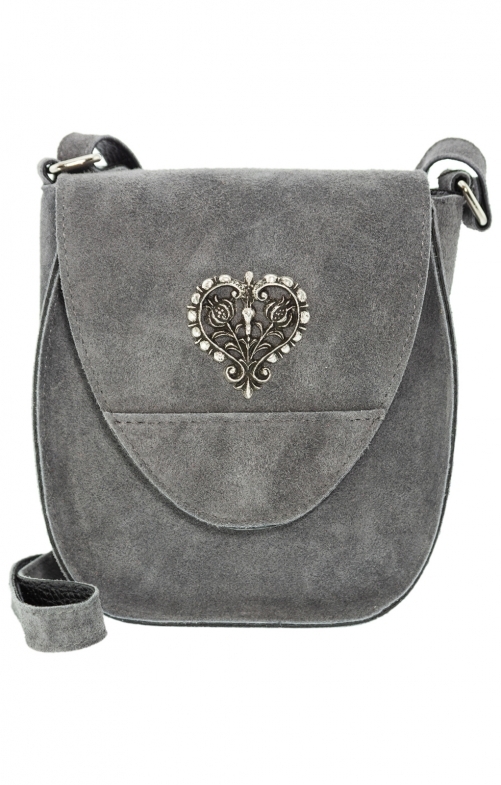 The elegant ladies handbag in genuine suede in grey adorns a floral silver heart. The handy accessory from our online shop offers a long shoulder strap and a practical magnetic closure. The traditional leather bag offers a robust workmanship in saddlebag design and is therefore ideal for festive occasions.